Ancient Chinese architecture wonderfully displays the long history and deep culture of China. 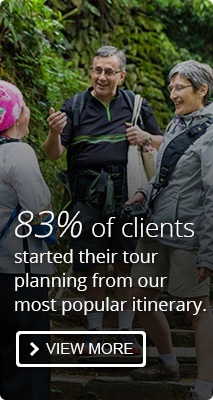 It varies by region, ethnicity/religion, and period of history. Ancient architecture in China stands out for its timberwork, elegant practicality, symmetry, and décor. 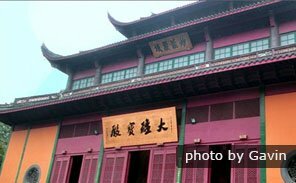 Wooden architecture was the mainstay of traditional Chinese buildings. 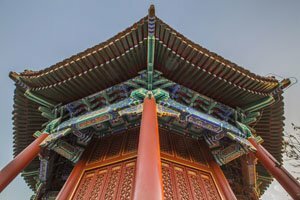 Wood was preferred for most traditional architectural structures, from the halls of the Forbidden City to common houses. The components were mainly columns, beams, and purlins, which were connected by tenons and mortises. China’s ancient wooden structures were quite intricately formed, sometimes without any nails! 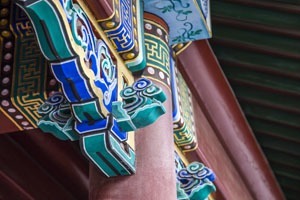 Existing examples of ancient Chinese architecture are greatly praised for their elegant profiles and varied features, such as overhanging eaves, upturned roof corners, and different shapes of roofs. The unique exteriors not only satisfied a practical function, but also had wonderful appearances. They are good examples of practicality and beauty combined. Most traditional Chinese buildings strictly followed the axis-centered principle with symmetrical wings. This reflected the aesthetic standard of harmony and symmetry in ancient China. Architects in ancient China paid special attention to color and adornments, from the whole building to specific parts. They used different colors or paintings according to particular building functions or local customs. Carved beams, painted rafters, various patterns, inscribed boards, couplets hung on the pillars, and wall paintings were used to add a colorful and beautiful style to interiors. Stone lions, screen walls, ornamental columns, as well as flowers were used to decorate the exteriors of buildings. 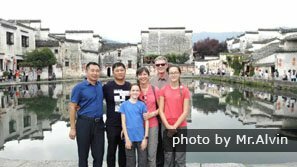 Ancient Chinese architecture includes palaces, city walls, temples, pagodas, and houses. Their architectural styles varied with purpose. 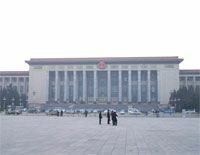 The main three types were imperial administration buildings, traditional residences, and religious buildings. 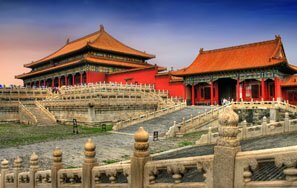 Ancient Chinese imperial buildings included palaces, government offices, and military defensive projects. All of them demonstrated the political control of the particular era. Generally, their architectural style was formal and solemn. The architectural style of traditional Chinese residences was functional and suited to local conditions. For example, in Southwest China, bamboo houses suited the muggy environment and local resources well. 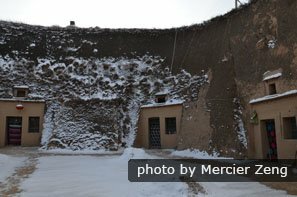 In the northern part of Shaanxi Province where the weather is cold and dry in winter, the loess-carved dwellings were good at retaining heat and were cheap to construct. China has four official religions. Taoism, Buddhism, Islam, and Christianity have a long history in China. 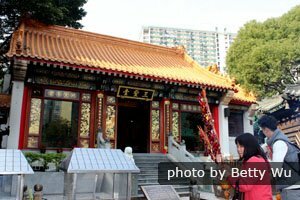 Wong Tai Sin Temple in Hongkong. Since the Chinese imperial court contributed to the introduction of Buddhism in China, Buddhist buildings in China normally followed the imperial style of construction, which was glorious and grand. Taoist buildings in China were closer to the style of buildings for commoners compared to the other religious buildings. Muslim architecture in China was a blend of traditional Chinese and Middle Eastern styles. As for Christianity, most churches in China follow a Western architectural concept. 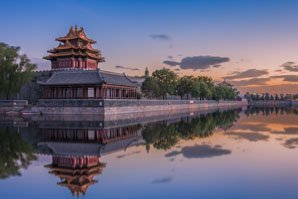 If you have an interest in architecture, let us know when you are booking your tour with us so that we can make sure your tour includes the aspects of Chinese architecture you’re interested in.